Conference’ pear is one of the best-known varieties, regular heavy crops of very juicy sweet fruit, green with silvery russet-ed finish. 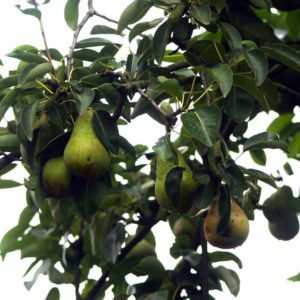 Perfect for eating in October – November ‘Conference’ is a self-fertile variety but increase pollination by planting more than one pear tree Plant in full sun, well-drained soil for best results. Pears are a very good source of dietary fibre. 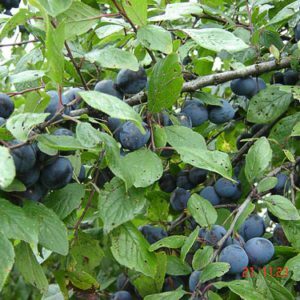 They are rich in fruit sugars and contain small amounts of phosphorus and vitamins A and C.
Tags: fruit trees, pear tree, pyrus conference.